Notes: "Nashville based singer/songwriter Jesse Baylin collaborated with producer extraordinaire Richard Swift on her latest release, Dark Place. They recorded the whole album in just nine days. This track, "Creepers (Young Love)", was inspired by "strange desires."" Notes: "Mikal Cronin will release his third solo album, titled MCIII, which is out May 5 via Merge. Like his last album, Mikal played nearly everything on the album and wrote the string arrangements too... In celebration of the new album, Mikal Will be playing select live dates this spring, including NYC on actual album release day (5/5) at Bowery Ballroom." It's MC's third time back on PUTV after two tracks from 'MCII' back on Episodes058/066! 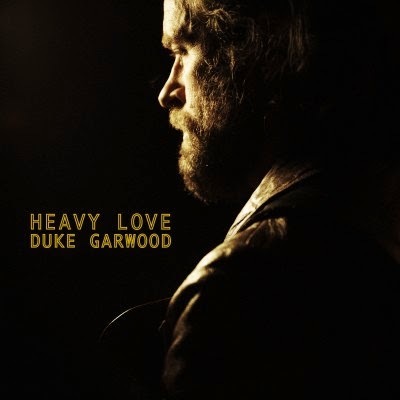 Notes: "Weathered and rich, the traveling spirit of American blues music runs through the English artist Duke Garwood’s songwriting and performances. A multi-instrumentalist who boasts skills on everything from guitar to clarinet, Garwood began his career as a musician for hire, playing on tracks by The Orb, Archie Bronson Outfit, and most recently, on Savages’ Silence Yourself. In the mid-2000s, the Kent-born songwriter embarked on a refocused solo career, emerging with his 2005 debut Holy Week. Garwood’s recordings gathered respect among fellow musicians – including Greg Dulli, Josh T. Pearson, and Mark Lanegan – which eventually culminated with him breaking through to a larger audience on Black Pudding, his 2013 full-length collaboration with a post-Isobel Campbell Lanegan." "The Legend of Chavo Guerrero"
Notes: "For more than two decades, ever since it was just John Darnielle and a boom box, the Mountain Goats have been cranking out new music at crazy speed. But now it’s been more than two years since the band released Transcendental Youth, their last album, which marks the longest break in the band’s existence... But now the Mountain Goats are back in business. They’ve just announced the impending release of Beat The Champ, a full album devoted to the glorious fake sport of professional wrestling... Darnielle was a huge wrestling fan as a kid, something he’s often spoken about in interviews. First single “The Legend Of Chavo Guerrero” is a fond chronicle of the young Darnielle’s favorite wrestler." It's MG's second time back on PUTV after we heard "Cry For Judas" from the aforementioned 'Transcendental Youth' waay back on Episode022! Notes: "Maine-based Lady Lamb The Beekeeper is the recording project of Aly Spaltro, who’s gearing up to release her sophomore album After on Mom + Pop in March... Her exalted voice breathes new life into what could otherwise be considered a fairly minimal track. That, accompanied by the song’s whimsical lyric video, makes After a record to look forward to. Spaltro edited fragmented scenes from Yvonne Anderson’s 1971 documentary Let’s Make A Film, featuring children’s animations." We heard Lady Lamb back on Episode040. Notes: "Since forming in 2007, [Austin's] T Bird & the Breaks hasn’t quite been classified as strictly throw-back, retro, funk/soul. They define “chunk music” as a form of twenty-first century American music consisting of equal parts funk, hip-hop, and rock and roll - characterized by its rough sonic quality and energetic, visceral performance (commonly served hot with a side of girls and brass)... In the last few years they’ve been invited to play shows with artists as eclectic as The Flaming Lips, The Funky Meters, Sting, Robert Randolph and the Family Band, and Galactic." "I'll Make Time For You"
Notes: "Louisiana singer-songwriter Kristin Diable has already snagged spots at festivals like Austin City Limits and opening for greats like Lucinda Williams, but the announce of her latest album Create Your Own Mythology has us thinking that 2015 may be Diable’s biggest year yet. The record was produced by Dave Cobb, known for his work with Jason Isbell and Sturgill Simpson... keep an eye out for more from Diable: she’s out on the road with The Lone Bellow now." Notes: "It’s the rare band that can wear its influences wrapped so tightly and not suffer for it, but The Lone Bellow is that band. The Brooklyn trio’s new album is packed with signposts and reference points that should probably come off as shopworn, but most of the songs are strong enough that it doesn’t really matter. For every obvious nod at The Band, Van Morrison, Rosanne Cash, Fleetwood Mac or whomever else, there’s a striking melody or an airtight vocal harmony part that stands on its own. Then Came the Morning is largely a continuation of the rootsy folk-rock path the band started down on its self-titled 2013 album, with the addition this time of production from Aaron Dessner of The National (and some musical arrangements from his brother, Bryce)." Notes: "Chappo was born in the East Village of New York in 2009 and in a few short years has created an enthusiastic and rambunctious following. Splitting the difference between the guitar driven psychedelia of 60′s west coast rock and the spiritual witch doctor moonshine of Dr. John, they regularly turn their live show into nothing short of spectacle... CHAPPO will be releasing their second LP, Future Former Self, on Votiv records, set to release Spring of 2015." And we played Chappo "I Don't Need The Sun" back in January 2014 on Episode094. "Rock & Roll Is Cold"
Notes: "A couple of years ago, Richmond, Virginia’s Matthew E. White hit our radar when he released Big Inner, an album of lush, thoughtful, beautifully orchestrated folk-rock. White’s follow-up Fresh Blood is coming in a couple of months, and he’s already dropped a teaser...“Rock & Roll Is Cold,” the album’s first single. It’s a brisk, playful piece of music with some serious R&B horns and a propulsive piano groove working for it." We heard Mr. White waay back on Episode025... I love how we've now been doing this long enough that artists are going through multiple album cycles with PUTV! Notes: "Next month, the Argentine-Swedish singer-songwriter (and sometime Junip leader) José González is back with Vestiges & Claws, his first proper solo album since 2007... “Leaf Off / The Cave,” a lovely folk strummer with some actual rhythmic snap to it. So many of González’s peers get by while totally ignoring the whole idea of syncopation that it’s almost shocking to hear someone showing a serious rhythmic command alongside all that lush, plummy beauty." Notes: "Hello Caller calls their music “dark folk,” a simple descriptor that nonetheless fits them perfectly. The Austin band debuted in 2012 with Dark Twain, a record that splits the difference between beautiful orchestrations akin to Sufjan Stevens and a more hard-driving folk-rock sound. It’s no surprise that Shakey Graves is a fan–he appeared on a couple of songs on Dark Twain and he’s appeared on a few bills with the band. On February 17, Hello Caller returns with a new single–out on vinyl via Violent Films Records..."
Notes: "Growing up in Houston, movies were a big influence on Kat Edmonson... Edmonson’s stellar third album–last year’s The Big Picture–made this cinematic influence overt by providing a lush orchestra for Edmonson to play with... For today’s song of the day, we’ve pulled one from Edmonson’s very first Studio 1A session. Way back in 2009, she offered up an impressionistic take on John Lennon’s “(Just Like) Starting Over”" Think of this as a little throwback/throwdown for Love Day. And since this slot had a chanteuse cover song last week, why not!? Notes: "Blink and you may have missed Chastity Belt’s 2013 debut, No Regerts, but the Seattle four-piece is back with a new song and album that will make them pretty hard to ignore: “Time To Go Home” digs even deeper into a jaded melancholia that they only scratched the surface of on their debut... It’s the ultimate party song, capturing the before and after in pointed succession." is floating away in the air"